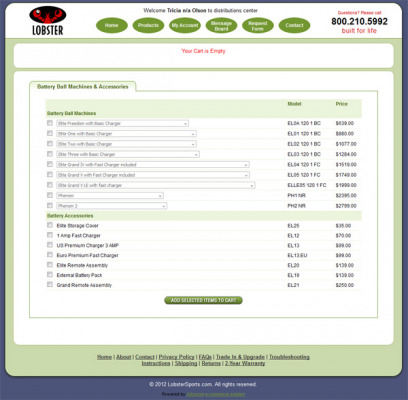 Online portal fosters and strengthens relationships with dealers and distributors. Managing complex sales efforts and personnel has historically been a very hands-on, time-consuming, and expensive process, and transitioning this aspect of management control to an online platform strikes many as an arduous task. In fact, adopting online sales-management tools is less complicated than it may seem, and today’s advanced online tools easily overcome any perceived problems. With an online portal properly designed to meet the needs of its dealers and distributors a business can attract and manage a much larger number of qualified parties to engage in sales activities than was otherwise feasible. Securing and verifying pertinent applicant information to establish dealer/distributor accounts is automated. Establishing sub-accounts, and product price tiering is easy. Providing dealers and distributors with all information and resources they need to generate sales is centralized. Tracking sales, payments, commissions, fulfillment and shipping all occurs within a single coherent system. Through the online portal dealers and distributors access and use the correct sales forms, and monitor order processing (workflow) status, order history, quote requests, and customer data, all in real time. This streamlines the ordering process for distributors and dealers by permitting them to submit orders accurately, track orders, and request quotes. If desired, everyone in the dealer/distributor network can have a “full view” into order processing – from creation to completion. Online portal tools leverage the effort of affiliates, sales people, dealers, distributors, wholesalers, representatives and agents by securely automating and monitoring all levels of sales transactions, interaction and other sales activity, without burdening them with something that’s too technically sophisticated. Companies that support their sales team with the right information presented in the right manner for the right audience at the right time improve their sales efforts and prospects. 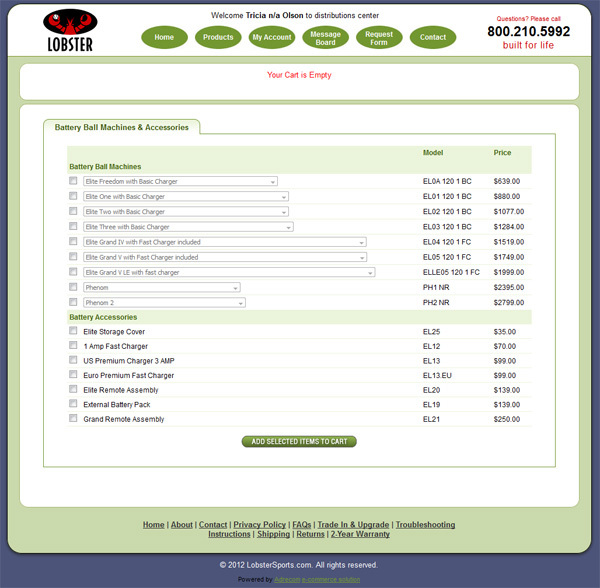 As a communication tool, a well-designed dealer/distributor portal is a low-cost mechanism for sharing information. With an online knowledge base for dealers and distributors companies can release, manage, update and control all information supporting their sales activities at all levels, including marketing materials, product sheets, FAQ, pricing schedules, discount tables, promotions and specials, contracts, high priority notes, MSDS, sales terms and conditions, returns and shipping policy documents, catalogs, forms, surveys, etc. Through the portal, companies can provide current product information in a well-organized format to everyone at the same time, which improves management and consistency in information dissemination. Also, full-featured portals include tools easily configured to permit dealers and distributors to use information within customized presentations. As a secured web application, all dealers and distributors must establish their own logins and passwords, and establish a sufficiently detailed profile. As such, the portal always distinguishes between various users, and can customize the information it presents to each user based on zip code, geographic area, or any pre-defined criterion. Each individual account also identifies the dealer/distributor’s profile for payment, preferred shipping methods, and order placement rules. Powerful search tools allowing visitors to find any sales organization or outlet instantly simply by entering their own location. The search results produce a complete regional list and map. Automatic price and discount calculations. Orders, customer data, custom information, and order status are synchronized daily between the web portal and company’s internal systems. Sales status tracking viewable by customers. Protecting the integrity of product information is easy; administrator can lock some content areas while allowing users to modify others. Enabling dealers and distributors to connect directly into the company’s system, efficiency is increased and errors are reduced. Having the portal eliminates many inquiries because consumers can answer questions themselves through the portal. The portal provides the manufacturer with the ability to process orders electronically, thereby reducing costs. Dealer/distributor portal solutions have arrived, and they solve real business problems for real users, and they do it quickly, economically, and with little organizational disruption. Any company with an independent sales force, dealer network, co-op or buying group can benefit from implementing a portal.